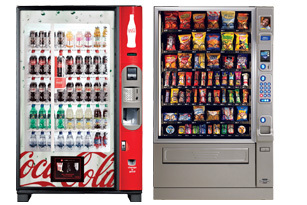 Framingham businesses just like yours are serviced by American Food & Vending. 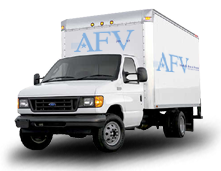 That is right, American Food & Vending has been at it since 1980 in Framingham, and that experience shows every time in our quality of products, equipment, and exceptional customer service. Coffee services: Stop purchasing and dealing with coffee and related products on your own. Save money and offer employees more choices. We have the coffee makers and machines, the coffee, and all the other items needed to provide your customers and/or employees with great coffee. Pour over, air pots, and single cup coffee machines are available. We’ll stock you up with coffee, tea, cups, filters, napkins, stir sticks, and the creamers and sweeteners you want. All the coffee lovers in your office will be satisfied! Vending machines: We have vending machines to provide your employees with the food and beverages that will keep them focused and at their tasks, not driving across Framingham on extended breaks to go and get them. Coke vending machines, Pepsi vending machines, vending machines with nutritious choices, snack vending machines, candy vending machines, coffee vending machines, and vending machines with cold and hot food selections. Our vending machines themselves are state of the art, saving energy and dispensing the products consistently and effectively. Got water? No, not those jumbo sized water bottles that take up half the break room and give you a hernia when replacing them. We’re talking about an endless supply of crisp, fresh, great tasting drinking water with a filtration system installed by American Food & Vending. Endless supply, and gone are those five gallon jugs! No more lollygagging, call us at (800) 543-2222. It’s time to get the ball rolling!